We offer quality Sink & Plate Drain Rack Units. It is safe and spacious. It contains a sink and multiple storage racks. The sink is manufactured using fine quality stainless steel which helps in dishwashing. The multiple storage racks has diverse loading capacity which helps in storing various types of kitchen accessories and also helps in draining the water left in the utensils after washing. It is corrosion resistant and available at a reasonable price. 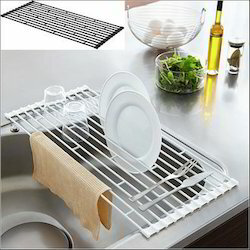 We manufacture premium quality Drain Rack Units which helps in keeping the kitchen organized and clean. These are large in size and have a long lasting life. It makes kitchen work easier and comprises of an excellent finish. It provides wider storage facility and is stain and temperature resistant. 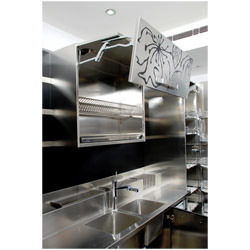 We are engaged in providing high quality Sink & Plate Drain Rack Units. 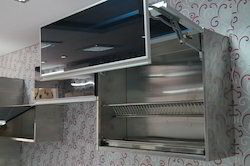 These Sink & Plate Drain Rack Units are procured by most reputed manufacturer that always take great care of quality and standard. These Sink & Plate Drain Rack Units are available in industry leading prices. Looking for Sink & Plate Drain Rack Units ?